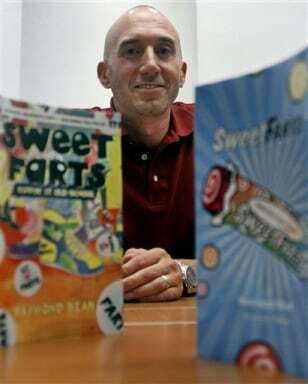 Teacher and author Ray Sabini self-published his "SweetFarts" book in 2008 under the name Raymond Bean. He now has a sequel called "Sweet Farts, Rippin' it Old-School," to be released next month. "Reaching those reluctant boys, it's a challenge I take very, very seriously and this is what they think is funny," he said.